For more than 30 years, 52 paintings and eight sculptures depicting a century of American history lay dormant. 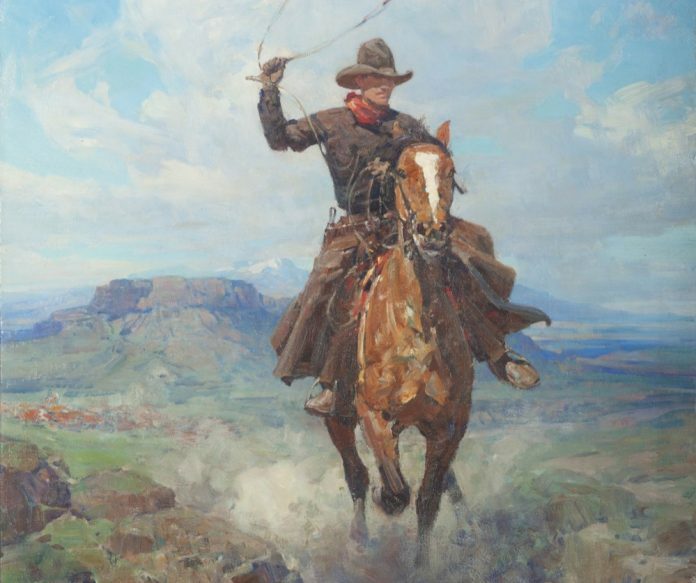 The pieces were finally unveiled to the public in 2012 and are now on display as part of the Taft Museum’s newest exhibition, Wild West to Gilded Age: American Treasures from the Santa Barbara Museum of Art. The five-room exhibit is organized thematically and chronologically, spanning from the early 1800s to the 20th century. “We wanted to use thematic groupings to help talk about what was going on in society at the time, to relate the art with social trends,” says Lynne Ambrosini, Taft’s chief curator, who also aimed to capture the mood of each era. Artists such as Albert Biertsadt convey the pre–Civil War idealism of the Western frontier before giving way to the more somber Reconstruction-era art of early impressionists, such as Ernest Lawson’s take on Colorado’s Royal Gorge. Both exhibits are open all month, with guided tours of Wild West to Gilded Age on Saturdays.